Apple Pie – a project for the mid-winter break? I’ve posted about this little boat in the past, but I think the message is well worth repeating at a time when many of us are thinking about the boats we’d like to build and use during the coming year. Chuck Merrell’s Apple Pie dinghy is so small and simple, she’s a real kitchen-table boat – that is, she’s small enough to be built on a kitchen table, and simple enough that you may well be able to finish her before anyone complains they can’t do anything useful in the kitchen because there’s a boat in the way. Seriously, it should be possible to build her in a very short space of time, and with very little in the way of materials. She’s also a clever and useful design and would make a great first boatbuilding project. Here’s the link for Chuck’s free boat plans. If you do build one of these boats, we’d love to hear about it! Email me at gmatkin@gmail.com. 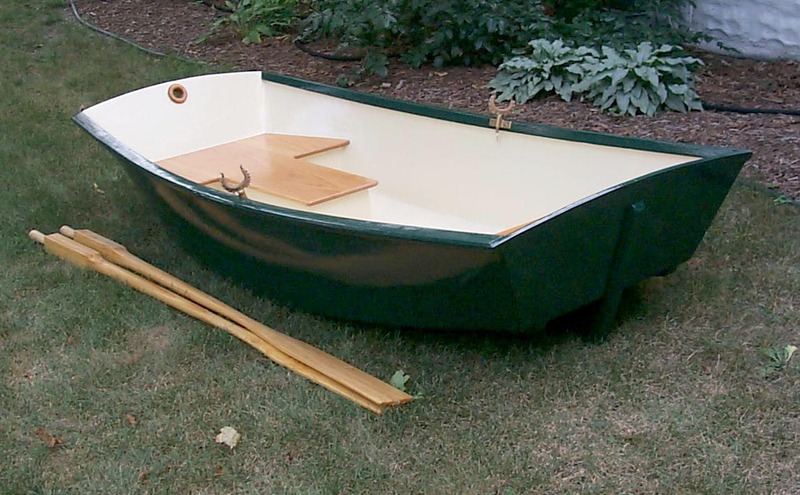 Dale Austin built one and has kindly allowed me to post a photo of the finished boat (below). Click on the picture for an enlargement.